Sunshine Tea House Pvt. 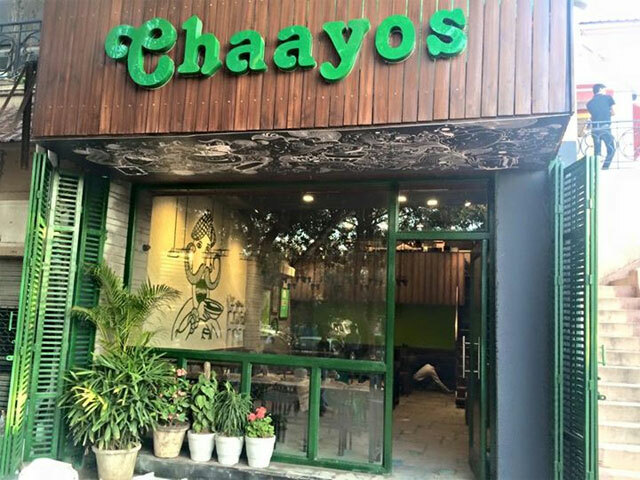 Ltd, which runs a small tea chain in Delhi NCR under Chaayos brand, has raised $5 million (Rs 32 crore) in its Series A round of investment led by Tiger Global. Bhavish Aggarwal and Ankit Bhati, co-founders of Tiger Global-backed cab aggregator Ola, also participated in the round. Founded in November 2012 by IIT-Bombay alumnus (2007-batch) Nitin Saluja (CEO) and IIT-Delhi graduate (2010 batch) Raghav Verma (heads marketing and business development), the three year-old startup currently has eight outlets in Delhi NCR. It now plans to take the number of outlets in Delhi NCR to 25 and add 25 more branches in Mumbai, Bangalore and Pune by December 2016, according to Mint, which first reported the development. Saluja had previously co-founded robotics education firm Think Labs at IIT-Bombay and has previously worked at consulting firm Opera Solutions for five years. Verma had founded an online education startup Prepsquare and has also worked at Opera Solutions before starting Chaayos. Chaayos had earlier raised seed funding from angel investor Zishaan Hayath (co-founder of Toppr). As part of the latest funding, Kalyan Krishnamurthy, managing director of Tiger Global, will join the board of Chaayos. In addition to operating its tea chain, the firm has extended its offering to on-demand delivery of prepared tea and snacks besides retailing its own packaged tea blends. It launched its mobile app for these services besides listing its products on third party e-commerce sites. It has two key competitors- Chai Point (backed by Saama Capital) runs its tea chain in Bangalore while Tea Box (backed by JAFCO, Accel, Keystone, Dragoneer, Horizen) is an e-tailer of specialised tea. For Tiger Global, which has become one of the most prolific backer of tech startups in the country, this marks the second back-to-back non-tech investment in India. Early this month it invested in logistics services firm Delhivery. Delhivery, however, specialises in handling logistics for e-commerce firms. The global investment firm was earlier active in the public listed as well as private growth capital deals space having through its hedge fund unit. Over the last five years, Tiger has exclusively focused on tech ventures in India.